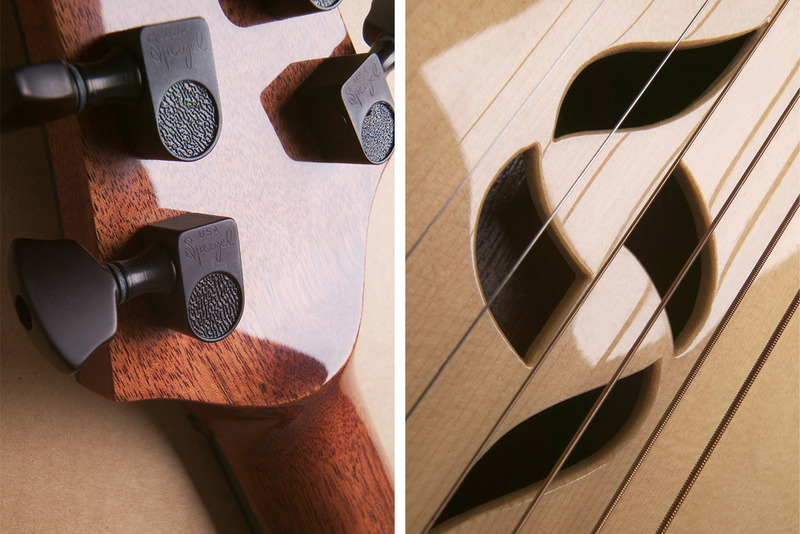 The unusual semi-solid J2 is created by routing acoustic chambers into a solid mahogany body. 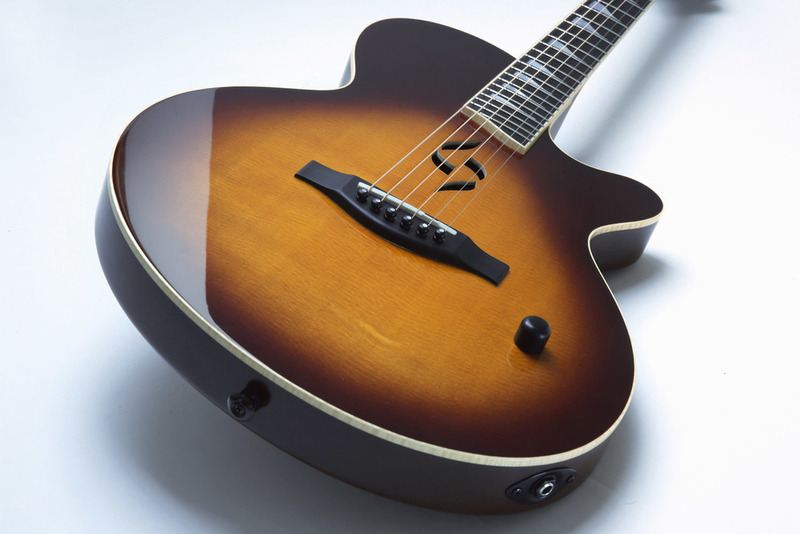 The guitar is topped with a solid Sitka spruce sound board, resulting in a lighter guitar with a resonant tone with a high resistance to feedback. Ideal for live performance through a PA or acoustic amplifier. The J2 has an ebony bridge fitted with a Fishman Acoustic Matrix active transducer pickup which gives a remarkably natural acoustic sound. 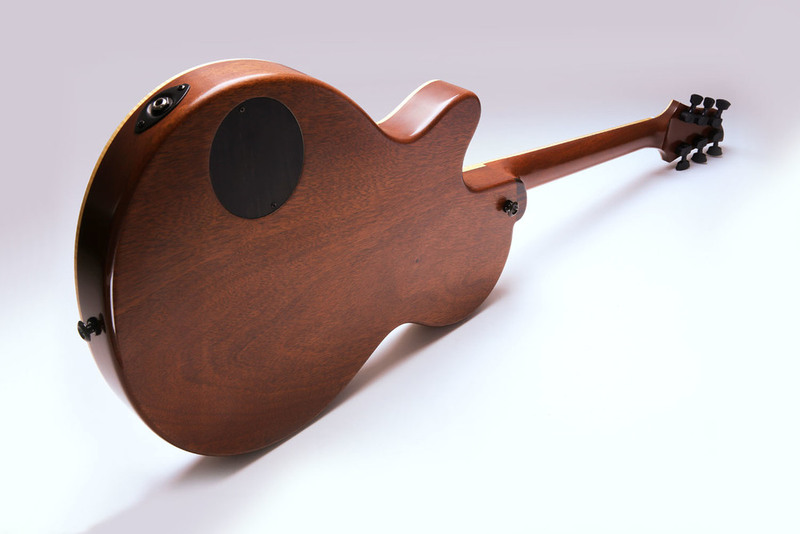 The neck is carved from one piece of quarter sawn mahogany, creating a very stable neck with a great feel. There is a choice of fingerboard, either rosewood for it's warm tone, or ebony for it's slightly brighter response and durability. High quality satin black Sperzel tuners beautifully compliment the ebony bridge, ebony control knob.